It’s a perfect time to update your closet. 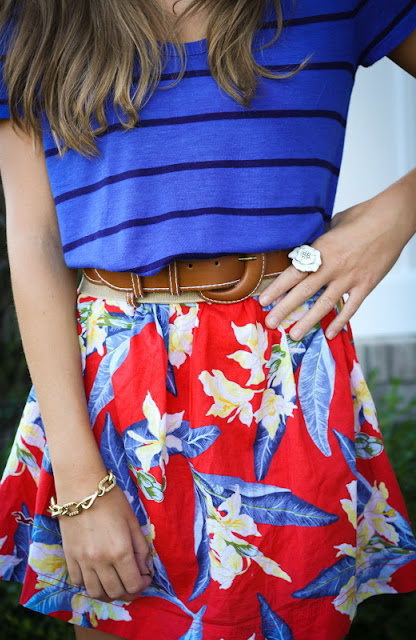 This time I want to share with you a stunning collection of printed skirts outfit ideas. Believe me, this inspirational street style compilation will help you to create an unforgettable outfit for work, parties and leisure activities. Printed skirts are crazy-flattering. You can find amazing designs, including the ones completed in beautiful florals, tribal touches, plaids, stripes, polka dots and other geometric prints, as well as stained-glass window print (WOW!). Each one of the showcased skirts looks awesome and easy-to-style. Scroll down to see incredible outfit ideas completed with printed bottom pieces. We see a stunning black leather jacket worn atop light gray Mickey Mouse sweatshirt tucked in tartan pencil cut skirt. Complete the look by adding chunky black leather ankle-boots embellished with metallic chain.